Bear in mind that as a mastering engineer, you should be requiring your clients a “proper mixdown” of the song. 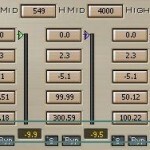 This should ensure that you are working with the best quality audio as possible for mastering. One aspect of quality mixdown is observing correct audio mixing levels and headroom in preparation for mastering. EQ issues in mastering are often caused by problems in the mix. If you are self-mastering your work, you would be surprised that most EQ problems in the mastering can be fixed by remixing. During this remixing process, you would be re-adjusting the EQ of different tracks in the mix until the desired clarity and balance are attained. To minimize issues, you would want to try implementing the complete EQ settings to start when doing audio mixing. 1.) Lack of presence – presence is an element that makes the music as well as the vocals clearly audible in sound reproduction equipment (like hi-fi audio equipment, your CD player, etc). If this is not addressed, other strong/dominating elements like the bass and the drums will drown the important musical element like the vocals. Luckily, the mastering engineer can sort this issue using EQ. 2.) Lack of punchy bass elements – if you are producing songs in rock and pop genre, the bass elements is very important to push the song. Unluckily during the mixing process, the job is to simply avoid mud in such as way all instruments can be heard at their specified frequencies. However, heavy boosting of bass elements is not recommended in the mixing stage and should be comfortably in the mastering stage. The important musical instruments that are affected are the bass and kick drums. 3.) Lack of bright hi frequency elements – one of the common errors in independent music production is the lack of brightness with respect to high frequency elements. This makes the music so bassy and not been able to capture hi frequency elements properly. So if your music includes drum hi hats and cymbals, then you need to tweak these elements during the mastering stage using an EQ. OK, once you understood the objectives in your mastering stage which is to address the above said problems. It is now the time to formulate the EQ settings for mastering. Important: Also, if the raw audio mix contains too much sub-bass, you might want to cut this a little bit using the above setting. You might notice that the mastering EQ does not cut or boost more than +1.5dB or -1.5dB. 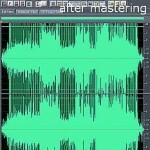 This is recommended because a slight EQ adjustment in mastering can have a big impact on the resulting audio. You need to use your ears very carefully when making an adjustment. Highly trained ears of professional mastering engineers can distinguish differences of very small EQ boost/cut adjustments even as little as 0.2dB difference. You can assess it here: Ear training development exercises for mastering engineer. In some cases, you might want to adjust more than 1.5dB which is seems fine as long as you not be overdoing it. For example, the bass region of the mix really deserved a -3dB cut, by all means do that. But if you are doing a -3dB cut in different sections of the frequency spectrum, this is now considered a heavy EQ alteration. You might want to talk to your client first by raising this issue and whether re-mixing can be a better alternative than pushing through drastic EQ adjustments.